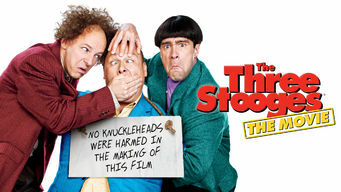 How to watch The Three Stooges (2012) on Netflix Italy! Sorry, The Three Stooges is not available on Italian Netflix, but you can unlock it right now in Italy and start watching! With a few simple steps you can change your Netflix region to a country like Australia and start watching Australian Netflix, which includes The Three Stooges. We'll keep checking Netflix Italy for The Three Stooges, and this page will be updated with any changes. The Three Stooges is not available in Italy BUT it can be unlocked and viewed! This contemporary take on the comic trio follows the lads from their zany childhood to their later accidental involvement in a madcap murder plot. A team of outrageous knuckleheads takes it upon themselves to perform a generous act. Will anyone notice? There is a way to watch The Three Stooges in Italy, even though it isn't currently available on Netflix locally. What you need is a system that lets you change your Netflix country. With a few simple steps you can be watching The Three Stooges and thousands of other titles! Want to learn how to get American Netflix in Italy?